Andy Harlin, a St. Pius X Catholic High School baseball coach for twelve seasons, has been voted into the Georgia Dugout Club Hall of Fame. 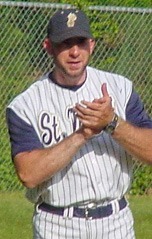 Harlin coached baseball for the Golden Lions from 1990 to 2001. He became the head coach in 1994 and led the program to the state playoffs for the first time in school history in 1998. In 2001, under Harlin, the Golden Lions won a region championship for the first time in the history of the school. 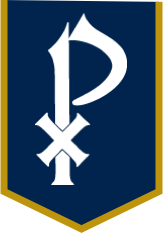 "Coach Harlin put St. Pius X baseball on the map," said Golden Lions Head Baseball Coach Chad Garrison. "He has always put the kids first and never wanted the spotlight on himself. I couldn’t be happier for him to receive this honor," Garrison added. Harlin has a 568-186-3 career record and currently ranks 13th in career wins in Georgia high school baseball history. Harlin was 135-79-3 at St. Pius X. Since 2003, Harlin has been the head baseball coach at Blessed Trinity Catholic High School, where he has a 433-107 record and has won three state championships. Two members of the current Golden Lions baseball coaching staff played in the program while Harlin was the head coach - Assistant Varsity Coach Trey Broussard (SPX ‘01) and Head Middle School Coach Jay Kapp (SPX ‘94). Kapp was on Harlin’s first varsity team in 1994 and was hired by Harlin in 2000. The Georgia Dugout Club will induct Harlin into the Hall of Fame on January 11, 2019.